Large cotton black and brown scarf for use as a headwrap, neck warmer or general purpose body warmer. The size is 45 inches by 45 inches. 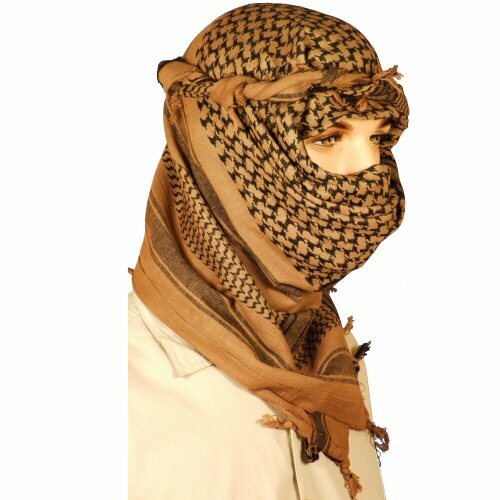 The background is a light russet brown which blends in with ground cover and makes an excellent alternative to the traditional British olive and black shemagh.